Picture of me and my brothers at my brother Nick’s wedding. 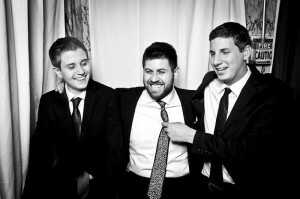 (Im on the left, my stepbrother Jack is on the Right and my brother Nick is in the middle. Ever since I was a little kid I have had this immense passion for cooking. But sadly as I got older my health began to decline and I began to have serious problems with my health but my love for food remained strong! But not for the better. I struggled and struggled with my problems and got constantly ridiculed and made fun of because of the weight. So one day I had enough. I was simply fed up with the ridicule, feeling sick, and unattractive. So I began eating healthy and learning more and more about health and started re-exploring my love for food. Yes believe it or not you can be a food lover and still be healthy! After a grueling and back breaking year and a half I managed to lose over 100 pounds. Now at the age of 16 I am healthy, fit, happy, and still have a love for food strong enough to part the seas. 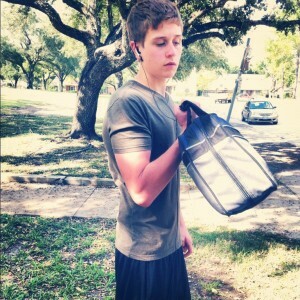 Because of this huge transformation I went through, I thought to myself. Why not share with the rest of the world wholesome healthy foods and ways to be happy and healthy that will keep even the most snobby foodie asking for more? Well my answer was here, in this blog. So here you will be able to find loads of fun including healthy recipes to tantalize your taste buds or treat your family. You will catch the latest health and fitness news, learn new things about health and living healthy, or nourish your body for whatever your goal may be. Whether it be muscle building, toning, fat loss, or just trying to be healthier. I also am aware of those people who have certain things they can and cannot eat because they are physically unable to and I will address that on as many recipes as I can. Here you will also find recipes that are grain free, Paleo, gluten free, dairy free, sugar free etc. And lastly before I go, be ready to have some fun and be sure to get yourself into this scene! I greatly encourage comments and questions on here. If you ever have a question don’t be afraid to ask me. Because I will most likely respond and be able to help you out. If you have any tips or anything you might want to add to any of my posts please comment and let us know. Any type of commenting and interaction from you guys is greatly encouraged (even if you disagree with me! and If you do let me know why who knows we might both learn something new) If there is anything you ever want to talk to me about, or say to me anything at all, please email me at: slimpalate@yahoo.com because I would absolutely love to hear from you guys. I look forward to more of your culinary adventures online and IG! BTW, also added you to my blog roll. Thank you so much Grace! And I’m actually not cooking in a classroom environment i’m self taught and have cooked since I was a kid. And thank you for adding me to your blog roll. I will do the same as soon as I figure how haha! Congratulationson figuring out at sixteen, what took me twenty years to find out! I can’t wait to see more of your work! I’m so glad that you are adding your young, but very wise, voice to the healthy eating community. BRAVO! Thank you Deb! That means a lot. And I hope I can help people out and bring some tasty fun recipes and just a general good time around here for everyone. Be vigilant for upcoming posts for all of you lovely people! I came upon your site via Mark’s Daily Apple. Your story is inspiring, and I agree with Deb it is great that you are taking this path at an early age. I admire you for starting this blog, and look forward to your posts in the future. Keep up the good work. Wow this is so wonderful that mark mentioned me in that post isn’t it? I’m glad to know that your looking forward to my future posts. And thank you for the kind words. Let me know if you have any questions or if you want to share anything with me don’t hesitate to contact me or post a comment. I am so inspired. I literally got chills on my skin when reading your story. I can’t wait to share your site with the community to show that this IS possible, no matter the age! Welcome and CONGRATULATIONS on your HUGE accomplishment at such a young age. Thank you so so much Stacy that really means the world to me. And you are so amazing for posting about me on Facebook. Everything you said about me means so much and I was so surprised to see you even posting about me. So very excited! Absolutely love the books by the way! I got here through Stacy’s FB link and I think you’re an inspiration! I look forward to going through what you already have offered and seeing what you come up with next. PS. I sniff the good chocolate too. Sometimes it’s better than eating it! Hi Joshua! What an amazing and inspiring story! Congratulations to you for recognizing what you needed to change and for actually doing it and sticking to it!! You should be SO proud of yourself! I can’t wait to share your sight with my some of my family members, who could use your story for their own inspiration!! I can’t wait to start making some of your recipes, as they look SO incredible!! Thank you for sharing your story and your recipes with all of us…(.AND for making printing them so easy too!!!) What a wonderful young man you are!! I’m so happy for you!!! All the best in 2013 to you!!! Wow, thanks Rashelle! I’m glad you are enjoying everything on here. I hope you enjoy my future posts as well. Please let me know if you try anything I’m anxious to find out what you think! I just discovered your blog from againstallgrain.com. 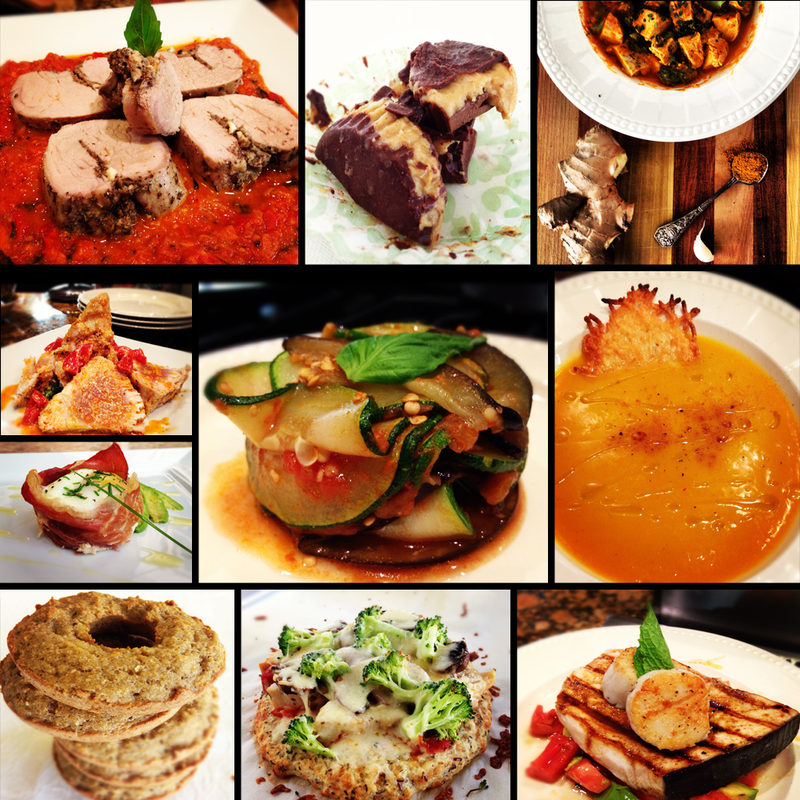 I want to try every recipe you have posted on your site! It all looks fabulous. Hoping continued success for you! Hi Joshua! It’s always inspiring to see a fellow young person, especially one who lost weight and became healthy – thank you for your blog! I have a question for you. You will probably go into this the longer your blog is up, but did you count calories, etc. or did you simply cut out grain from your diet? I have tried eating paleo before – it’s difficult for me. Any tips you can give would be greatly appreciated! Hey Ashley, thanks for the kind words. I did not count calories. Counting calories is a broken system in my opinion specifically because it depends on what it is you’re eating. If you’re eating calories from bad food then it doesn’t matter if your counting them or not. What I did was I started eating real food again, cut my sugar intake (by a lot!) and started really watching my carbohydrate intake. Wish you the best. So brilliant! You’re such an inspiration 🙂 So awesome that you did this at SIXTEEN! Congratulations again! Joshua! I just read every post you’ve ever posted. I landed here after seeing a photo of your zucchini fritters on Pinterest and now I’ve been here for half an hour! Keep up the good work! Hi Joshua! I was led here by an article about you on thekitchn.com and just wanted to reiterate what everyone else is saying – this is a beautiful blog with a wonderful message and you are a very inspirational person! I’ll be following your blog and your journey. All the best to you, and thanks for sharing! Hi Joshua! I got here via an article on thekitchn.com like Kimberly and I just read every post you wrote. Though this is what all other people have told you, but let me say it again…Amazing story, and beautiful recipes! Thank you for Sharing, and let me share your story&recipes with my friends! It is so exciting to see someone who has used food to heal their body! I’m a gluten, grain free teen who has a passion for food creation as well. Amazing how most people don’t realize how powerful food really is. I was wondering, since you mentioned you have a deep passion for cooking, if you have any aspirations of becoming a chef or owning a restaurant? If none do you have other food related (or not) goals or dreams? Thanks for posting your creations for all of us viewers to enjoy! hello joshua! I discovered you and your awesomeness via the Spunky Coconut and her post about you. i’ve subscribed to her blog for quite some time and have learned so much. and now I suscribe to yours!! You, my friend, are an inspiration and full of talent (your photos are gorgeous!). I have made several of your recipes and they are fabulous. In fact your banana bread is cooling on my counter…it’s missing a couple of slices though…oops! Anyway…keep rocking on with your bad self…as a mother of 3 kids close to your age I imagine that yours must be very proud! Way to go man, way to go!! Hey Fariba, thanks for the sweet words. When I say high quality dark chocolate I am referring to organic, fair trade, fresh and additive free. A lot of the time I use Sunspires Organic Unsweetened Baking Chocolate and sweeten it with stevia but some other good brands that I know of are Theo, Alter Eco, and Taza. Good luck picking one because they are all really good so it’s your choice from there. And yes I use Honeyville almond flour, it really does make a huge difference. Great story!! I found you through Pinterest and cannot wait to try your recipes. 😀 I’m also a California transplant in Texas. I absolutely love your blog and look forward to receiving each one! I predict that you will someday end up on the Cooking Channel! Keep up the good work! Wow. I’m so impressed with what I have read and seen so far on your blog. It is amazing when someone turns their life around by making better choices. That sounds so simple, but anyone who believes that has never had to struggle with their health or weight. Our diet has considerable impact our well-being. It takes tremendous discipline, study, practice, and courage to acknowledge our short-comings and put a positive plan in action to make signficant change. We develop such bad habits for a variety of reasons, and there is such temptation out there to sabotage ourselves. How stunning that you found the strength to alter your life at such a young age. I am glad you had support to see you through a most difficult part of your journey, and that you met your initial goals and have started to build on them. I applaud your success and admire your desire to share your wisdom, knowledge, and experience with others. I came across one of your recipes that someone had reposted on instagram and have now spent the better part of my days reading every single one of your posts. I got to this part last and was (pleasantly) surprised to find you were only 16 at the time of starting this venture! Wow, I am so impressed I dont think there are words to articulate it enough! As a fellow blogger and a writer I just want to say how impressed I am with your writing skills. Besides the fact that your story is so inspirational and your recipes are incredible and creative, you write so eloquently and with such ease I feel like I could easily have known you for years and we are just a couple of friends chatting and baking together. It’s a pleasure to follow someone like you and I can’t wait to check out more of your recipes as you post them! I came across your blog in my search for healthy recipes that my husband would not know are healthy… a little sneaky here. Anyway, I am a middle school teacher and as I was reading through your blog, I was first impressed by your writing, especially the voice in your writing. Then, as I read more, I realized just how young you are! No wonder I felt an instant connection to you as you are only a few years older than my own students. I love your story and hope to inspire others by sharing it. I have already emailed the link to your blog to several of my colleagues with special diets (gluten free, limited sugar, etc…) and they are as enamored with your writing as well as your recipes. To be honest, this is probably only the second blog I have joined for non-academic reasons! Your are an inspiration! I am a big fan of kale. Have you tried eating it fried with some bacon fat, sauteed for just a few minutes with a sprinkle of sea salt and pepper and with a squeese of fresh lemon? That is my favorite way to eat it. Love your blog! It inspired me to make a change regarding my eating habits. Thank you for all that you do! You are an inspiration to all and very handsome if I may add.